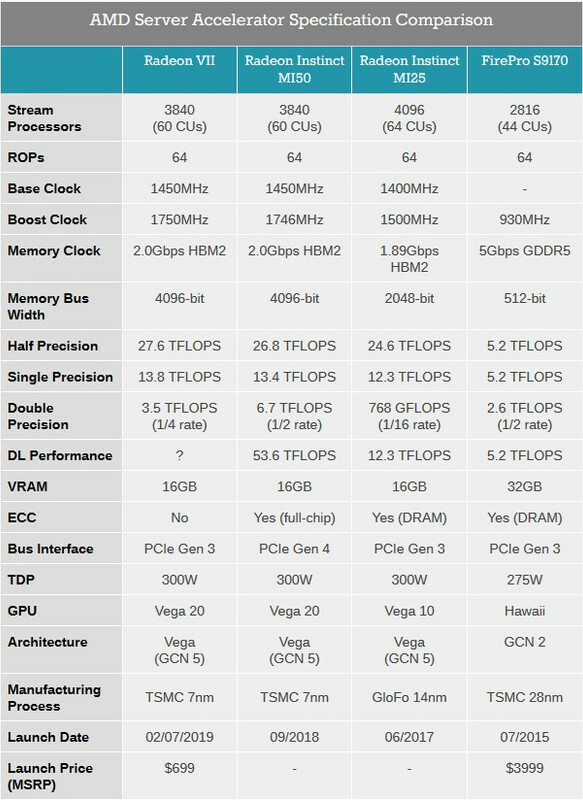 Is it true the new Radeon VII is more geared tword computing? I would like this thread to deal with any new info you all come across for the amd Radeon VII. Just watched a tare down video on gamers nexus. Curious how it will perform. Lisa Su, during her presentation of the product implied with a degree of conviction that this will be a gaming card. Although it will undoubtedly perform that particular task with distinction and bravery, it will be no match for the oppositions top tier flagship superhero F1 racer. But it seems to want to tussle head to head with the RTX 2080, sacrificing fuel economy and the unexplored and unwanted DXR and more importantly, deep learning super sampling features. What does it offer in return, you may inquire? Well, there is 16GB of HBM2 memory with an astonishing 1TB/S bandwidth. But it actually has 4 less compute units than her predecessor, the reclusive Vega 64, yet yields on average 25% better performance in modern gaming titles such as...blah blah blah. This welcome increase attained through superior GPU boost clock speeds of 1800Mhz and some other...uh...stuff. However, as with her predecessors the VII should enjoy an advantage in compute as already exhibited by AMD in 8K editing and Luxmark because apparently there is more to life than just gaming, although this has yet to be confirmed. NASA scientists are looking into it since Obama killed their space program. 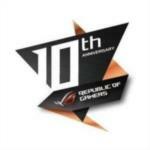 As of yet AMD's chief dignitary is yet to prove itself in battle against Nvidia's high end champions. The 16GB of HBM2 VRAM will not distinguish her superiority in general gaming, but may provide the upper hand in compute which is a strategy adopted and accelerated by AMD for some time, an advantage exploited by many coin miners with the assistance of Polaris and Vega. At the price point which it was subjected, it does provide a capable 4K alternative to the RTX 2080, but again it lacks two key features offered by her direct adversary. That does not position her well unless there is a demographic requiring 16GB of VRAM. 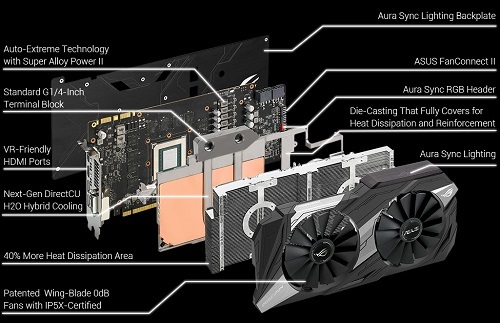 The Radeon VII is no more than a stop gap filling a void in AMD's fleet until Navi arrives, which might provide a more refined and comprehensive answer to the contesting alternate. In conclusion, the Radeon VII was created/released so AMD can make an appearance in the high end GPU market whilst they ameliorate Navi's capacity in all segments, I am inclined to think. Right now is not a good time for a GPU upgrade. I believe AMD's and Nvidia's next contrivances will make the boys drool and the wives/girlfriends impassioned by murderous jealousy. Last edited by panzlock; 02-05-2019 at 09:27 PM. Dismal review performance. She can swing, but they gave her a broken limb. I'm into 3D rendering and gaming. Was considering upgrading, but I might hold off till next launch. Unless its straight fun to overclock. For the price point it doesn't seem too bad. ASUS Radeon VII is not so bad card at all. rather than buying ultra expensive Turing. But like I say they need 15-20% to be perfect, for same money.